Pray for all the resources and creativity needed to fulfill the intentions of God in the nation of Scotland. Background: The Kingdom of Scotland emerged as an independent sovereign state in the Early Middle Ages and continued to exist until 1707. 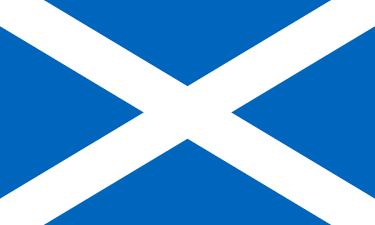 Having entered into a personal union with the kingdoms of England and Ireland following James VI, King of Scots, succeeding to the English and Irish thrones in 1603, the Kingdom of Scotland subsequently entered into a political union with the Kingdom of England on 1 May 1707 to create the Kingdom of Great Britain. This union resulted from the Treaty of Union agreed in 1706 and enacted by the twin Acts of Union passed by the Parliaments of both countries, despite popular opposition and anti-union riots in Edinburgh, Glasgow, and elsewhere. Government Type: Scotland has limited self-government within the United Kingdom as well as representation in the UK Parliament. Executive and legislative powers have been devolved to, respectively, the Scottish Government and the Scottish Parliament at Holyrood in Edinburgh. The United Kingdom Parliament retains power over a set list of areas explicitly specified in the Scotland Act 1998 as reserved matters, including, for example, levels of UK taxes, social security, defense, international relations and broadcasting. Religions: Just over two-thirds (67%) of the Scottish population reported having a religion in 2001, with Christianity representing all but 2% of these. By contrast, 28% of the population reported having no religious adherence.